It crashed and I have filed a bug report. Tired and going to bed. Our rain has started and we're supposed to get 4 inches. I'll post more in the morning. Hi dear, I've talked with everyone, we just can not come up with a reason for this. Have you tried installing DS4.5 again? It might be the only way to see if it's DS or your PC. No, but I can reinstall 4.5. I don't think it's DAZ or the PC. I think I changed something and messed it up. It was working for me and now it's not. Haven't heard anything back about it crashing last night. Evidently I decided to change her name. And the other one. Now I'm cranked again. Or maybe cracked again. That's a beautiful render Anne, so glad your back to work. Hi there. I'm very new to DAZ - I tried it a few years ago, but had a bargain-basement system that just didn't have the power to run the software. But now my system is much improved, and I've been having fun with DAZ. However, I am running into some issues - there are certain models that, when I try to apply textures to surfaces, only show a solid color. (I will post images later - I am not at my home computer right now. :( ) Is it an issue with the models I have chosen, or am I doing something wrong? I have no experience with texture mapping or 3D modeling, and very little with DAZ so far - just playing around for the last couple of weeks. I also have some questions about lights, but I have not yet had the chance to check out the tips mentioned earlier in this thread - my questions may already be answered. Thanks, Jeff. I started on something else last night and ran into a problem: No scale in the Parameters tab. It may have just been the items I was using, but I'm going to check it out later today. I'll be expecting updates from you both. @AtticAnne: That's odd you should be able to scale unless you do not have the Root (Base) selected. @james.beery.07: It could be the items are not UV mapped, I'll wait for your follow up post. We will wait until you post some images and info what the models are and what textures you are appling before commenting further. Nice image Anne, nice to see you finally getting your issues fixed. It may also be that the material presets use Poser shaders, which won't work in DS. I just want to once again thank Szark and fixmypcmike for popping in and watching this thread. If those two and I can not help... We will just look for somebody that can. Thank you for your quick replies! :) I suspected it might be related to UV mapping, but I have no idea how to actually create such a map. And if it is a Poser shader issue, I have no idea how to address that either. I will post pics this evening of what I am trying to accomplish. ROFL!! When I saw who had posted I was so hoping for a question I could just jump on and answer. This was even better. Hi James, is this happening before or after you render? Some shaders do not show up in the workspace...you have to render to see them. 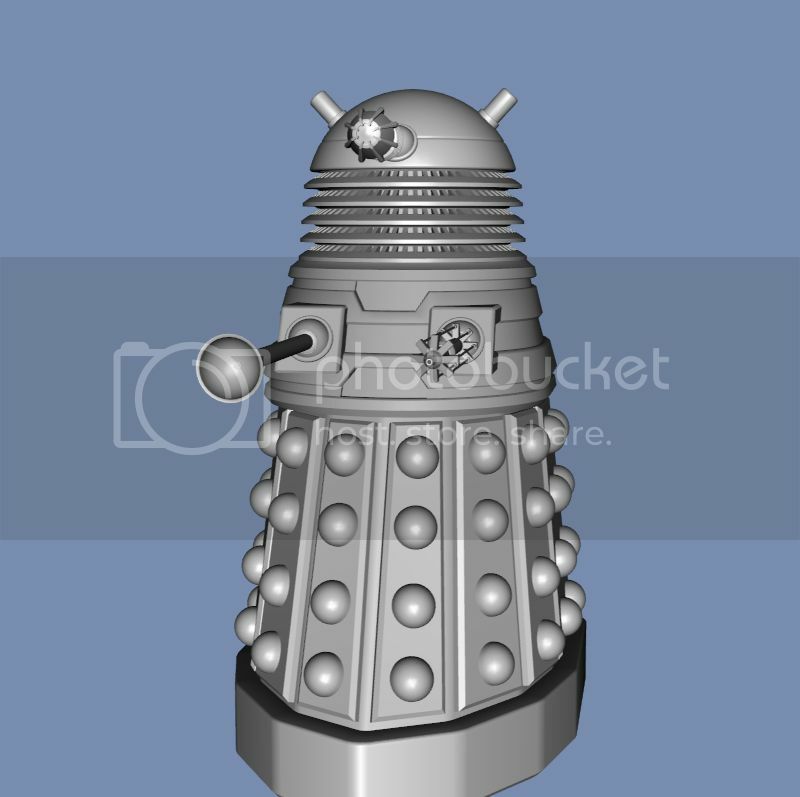 Here is an example of my issue with textures: a checkerboard-style texture just for good contrast, an uncolored Dalek model (imported .obj), and thay same Dalek model with several surfaces selected and the texture applied. The texturing ends up a solid color. Rendering the image didn't help the texture appear, unfortunately. Whatever help you can offer would be greatly appreciated! :) I'm having trouble with attaching images, so I have linked to the pics. It must have been the files I was using because the ones I used today had scale. Welcome. You've certainly come to the right place for help. Lots of knowledgeable people giving excellent advice. This is my #1 place to come to with my problems. It must have been the files I was using because the ones I used today had scale.Sometimes the Overall Scaling dial can be under a different sub heading in the Parameters Pane seperate from the x.y and Z scaling dials. Click on All and it should pop up. I don't have this model but from the looks there are not UVmapped which does make thing a little harder when trying to use texture maps. You could try (I am not saying it will work) increasing the Tiling in the Surfaces Pane See image below. Thanks for the idea, Szark, but it didn't work. But I did get some result with adjusting the vertical and horizontal offsets - they cycled through the colors of the texture I was trying out. If this model isn't texture mapped, is there any way I can do so? I'm with Szark, it looks like that is a none UV mapped object. 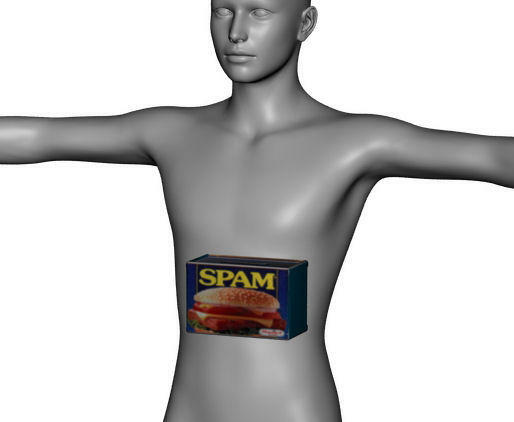 I suggest you check the Doc Who thread in the Commons, and see if the users can point you to DS/Poser ready models. Here is the link. Thanks for the tips. 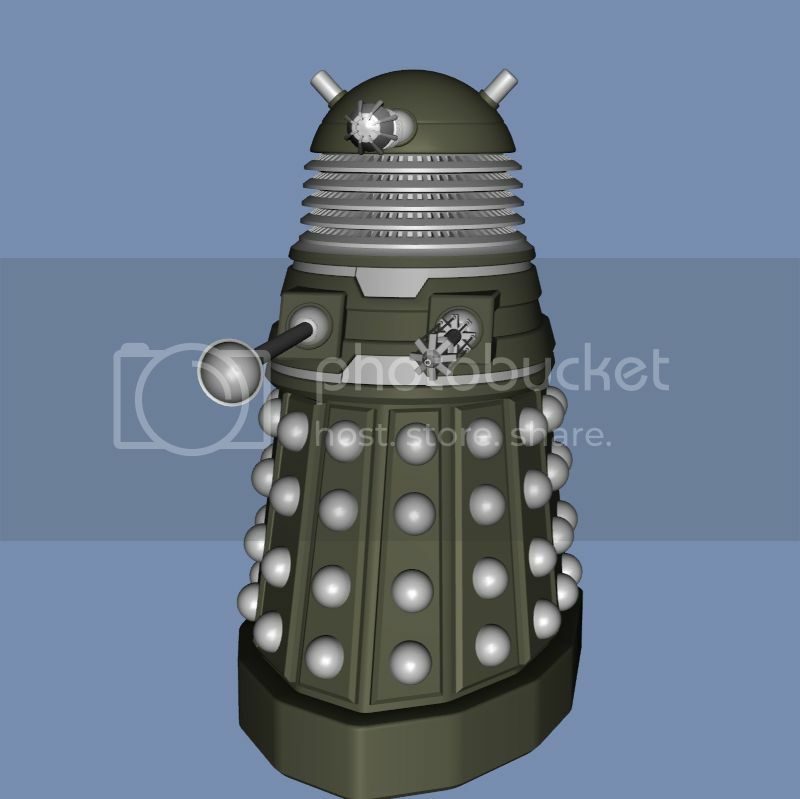 :) Jaderail, I have many Daleks in .obj format from the Project Dalek forums, there are just certain designs I would like to use in a project I am working on, and I would need to alter the textures to use those particular models as I would like. There are several that would do just as well that I know can be retextured, though. And Szark, I will look into the Shader Mixer as soon as I get the chance. Is there someway I can tell if they use Poser shaders? 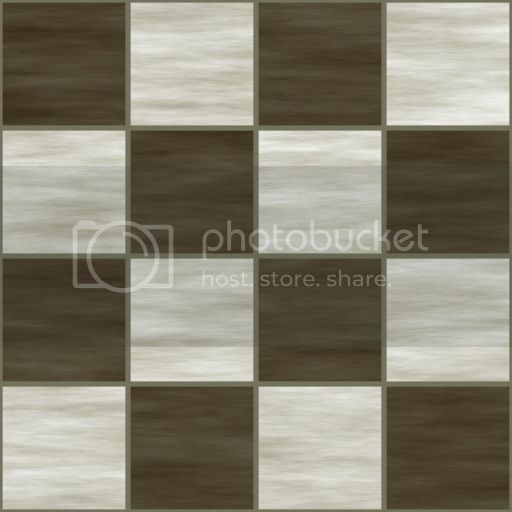 Is there someway I can tell if they use Poser shaders?Here is the easy way. If the item loads from a Runtime folder (not imported) and you try all the textures that come with the item and none of them load or look half way close to the icon in DS it's a good bet they use Poser Shaders. or if the file extenstion reads MC6...I think. Here is the easy way. If the item loads from a Runtime folder (not imported) and you try all the textures that come with the item and none of them load or look half way close to the icon in DS it's a good bet they use Poser Shaders. Also, if you're using a material from the Poser Format section of the content library a DS material has a small yellow scroll on the icon. From a content creation standpoint this is a useful way to work because you can store Poser and DS mats in the same folder, but it can make things difficult for new users to grasp. Doesn't make sense that it's a DS mat and in the Poser formats. Hope I explained that well and that it helps. I'm usually asking for help,not trying to give it! 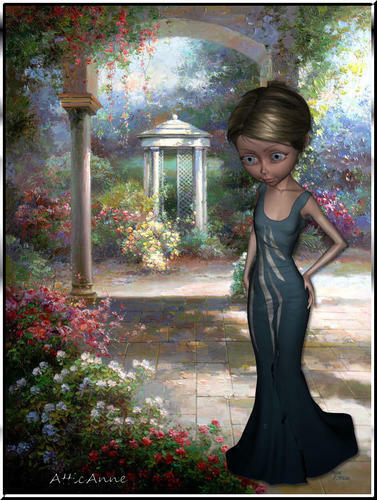 I should add a poser mat could also be a pz2 and generally these will load in Daz Studio and you will probably need to adjust the surface settings manually.